At this time, it is important to know that you may be faced with some difficult decisions and we can guide you and answer your questions. When faced with these decisions it is always useful to ask yourself, what is relevant and what is significant. There is no need for you to rush into making these decisions. You should first be sure to contact your loved ones and friends to advise them of the passing. Then contact the funeral director of your choice. 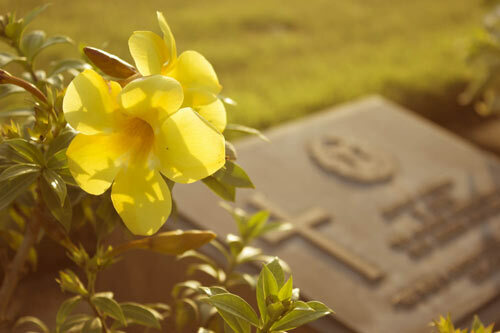 You will likely need to decide what is more appropriate a cremation or a burial? You should feel comfortable about the significance of the ceremony and where it should be held, (A church, a home, a shed, a farm). You do have choices. 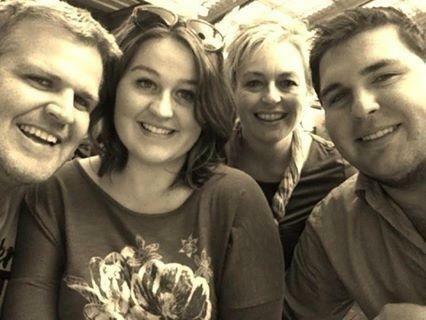 Once you have contacted Aaron and Kerrie Burkin of Beaudesert Funerals, we will take care of the rest. At Beaudesert Funerals we understand family values and that no two funerals will be the same. 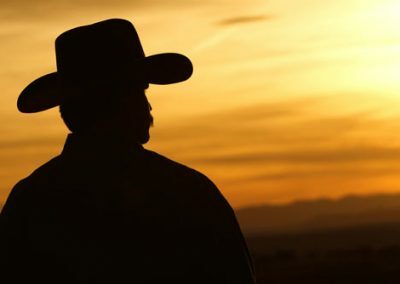 We pride ourselves on being able to offer families many ideas to help create a final farewell that is unique, traditional and fitting for your loved one. 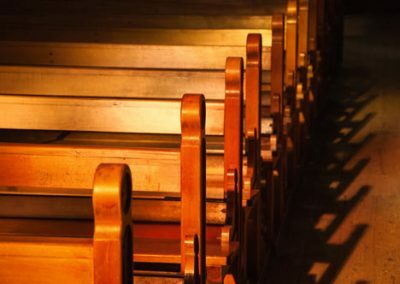 Whether you are thinking a Burial or a Cremation. Perhaps we need to organise your loved one to return home, interstate or international, we can help you all the way. Liaison with cemeteries, clergy, celebrants, doctors, florists etc. Preparation and proofing of memorial cards, service booklets, and music selections with all printing completed in-house. It’s important to know who is looking after your loved one. Who are the Burkin Family? Aaron and Kerrie Burkin are joined with their son James and his family, and their daughter Courtney and her family to provide the Scenic Rim, Logan City and surrounding areas a caring, respectful and professional service. Aaron has been a part of the Funeral Industry for 27 years, starting out as an 18 year old Funeral Attendant. Kerrie has been a part of the industry since 1998. Through these years Aaron has gone on to study, educate and inspire others in this challenging industry. 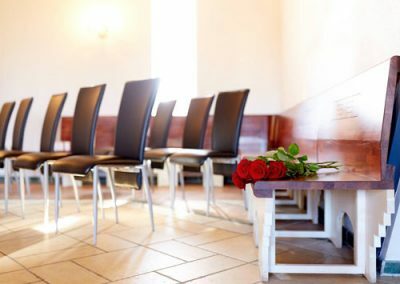 Aaron has worked for family owned and operated funeral homes and then Corporate owned entities which gave him the experience and knowledge to open his own funeral home in Cairns in 1998. Together with his wife Kerrie and later their son James, they grew the funeral home to be one of the largest and respected funeral homes in Nth Queensland. After selling the Cairns funeral home, Aaron and Kerrie moved to Brisbane where Aaron has continued his involvement in the industry, educating and assisting other funeral homes on procedures, health and wellbeing options for employees and of accessories relevant to mortuary care and preservation. Kerrie has also continued her involvement in the industry providing celebrant services to the community. Beaudesert Funerals is currently undergoing accreditation to become a proud member of the AFDA (Australian Funeral Directors Association) and the NFDA (National Funeral Directors Association. AFDA & NFDA members are bound by their strict code of ethics and a code of professional conduct designed to meet community needs and expectations in all aspects of business. Aaron’s dedication to this industry continues with the purchase of Beaudesert Funerals. Working in a close knit community is something that Aaron and Kerrie have missed since leaving Cairns in 2012. Beaudesert Funerals by the Burkin Family is a funeral home run on family values and morals and they are often joined in the business by their son James, who started in the industry at age 17, and their daughter Courtney, it truly is a family based business. Beaudesert Funerals shared a post. 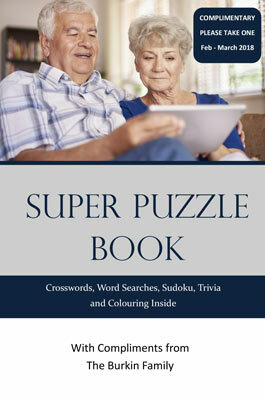 Download a copy of our Super Puzzle Book and keep up to date with the latest answers! If you would like to order a copy of our Super Puzzle book, simply click here and let us know via our contact form. At Beaudesert Funerals, we are able to offer pre-paid funeral plans. The individual wishes of the client are recorded and the cost of the funeral is set providing a sound long term financial investment. There is no price increase ever. 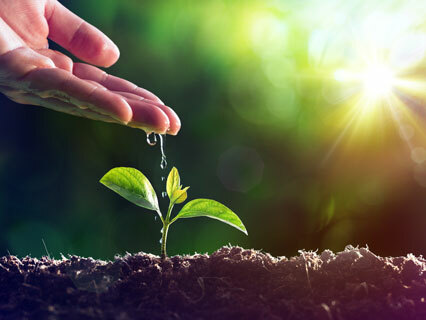 The money is invested with ‘Foresters Friendly Society’ in the name of the client and can only be released to the funeral home after the services have been provided. 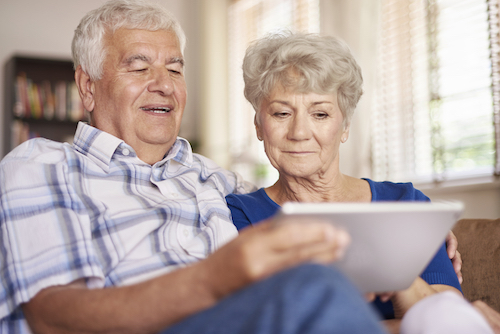 One funeral plan contract can be set up to cover two individuals (an either/or contract). 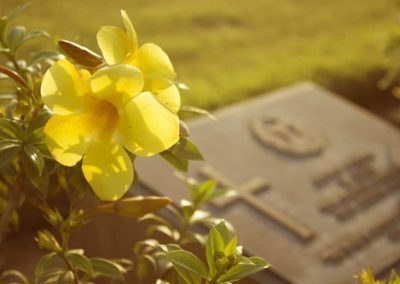 A funeral plan can be paid as a lump sum or may be paid off over 12, 24 or 36 months with no interest or administration fees applying. A travel insurance component may also be included offering further peace of mind. 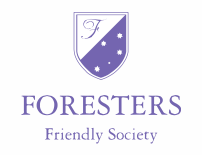 Funeral Bonds are also available through the ‘Foresters Friendly Society’. Investing in a Funeral Bond gives you peace of mind that you are not passing on expenses to family and friends. 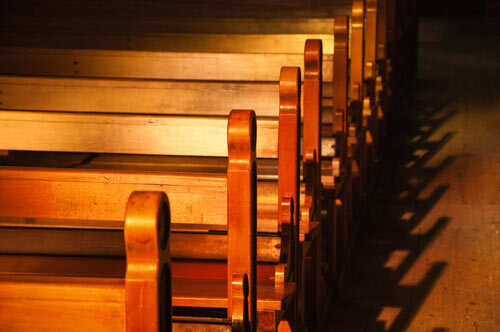 By investing in a Bond, your investment is capital guaranteed with the specific purpose of meeting future funeral expenses. We are available to assist you, all hours, always! In the event of a death in the family, contact Aaron & Kerrie Burkin from Beaudesert Funerals without delay. 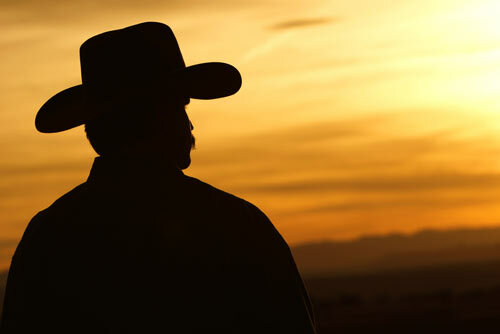 We are available all hours, always and will provide help and guidance from the first contact. The funeral arrangements consultation can be held at your own home or at our premises. This consultation does not need to take place immediately and you may wish to await the arrival of other family members before proceeding with the arrangements. If you are one of the growing numbers of people that would like to plan their funeral in advance, contact us to arrange an appointment to discuss your options.